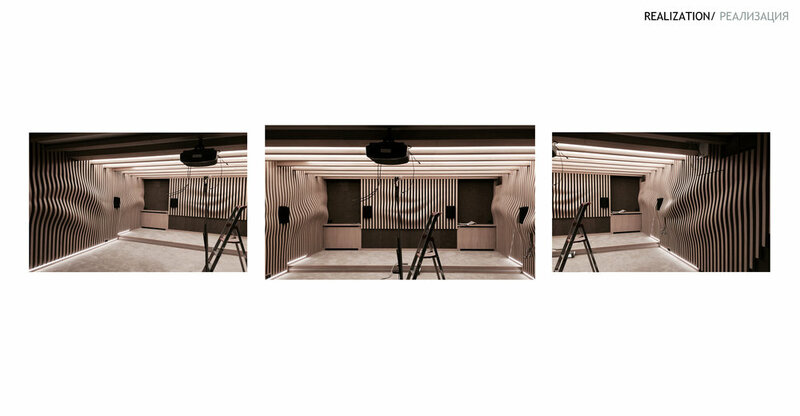 BOX - is a project of an interior of a home movie theater. 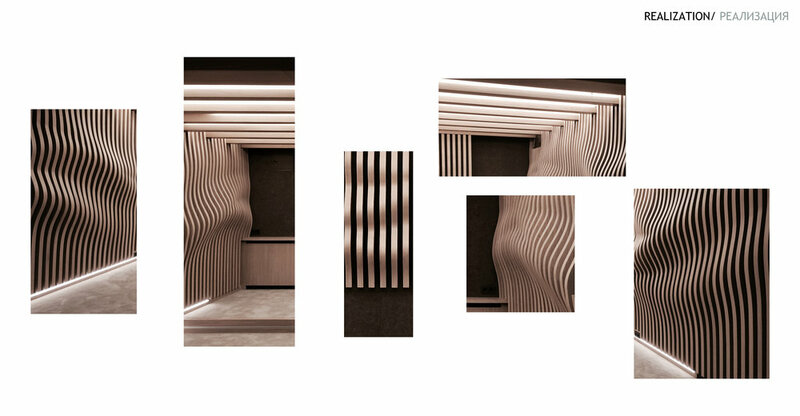 The concept of the interior design is based on the idea of a box, filled with different elements and allowing different scenarios. The interior is adaptive to what is going on in the room at the moment. 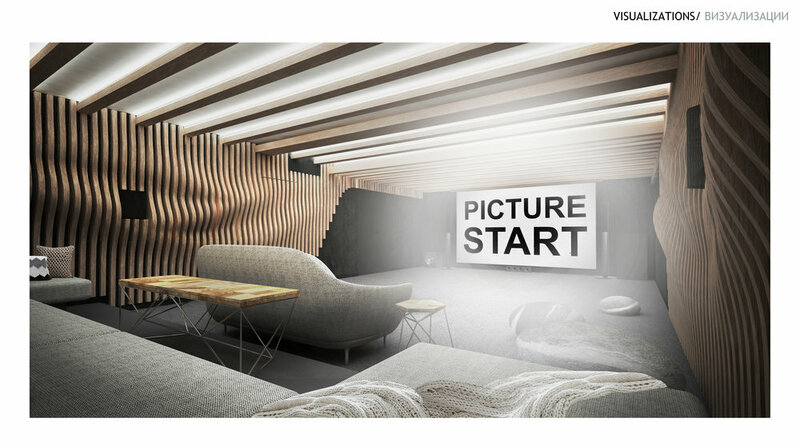 If the movie is shown, then the screen is the main part of the interior and the wooden waves on the walls, enhanced by the sound streaming through the space, are complementing the atmosphere. Otherwise the curvilinear geometry of the walls create a nice background for having a lounge.